In our house, we try to have family movie night every Friday night. It's a highlight of our week where all electronics are banned and we cuddle up on the couch together. It's also a night where we indulge in some movie night treats... because what's a movie night without popcorn, right? 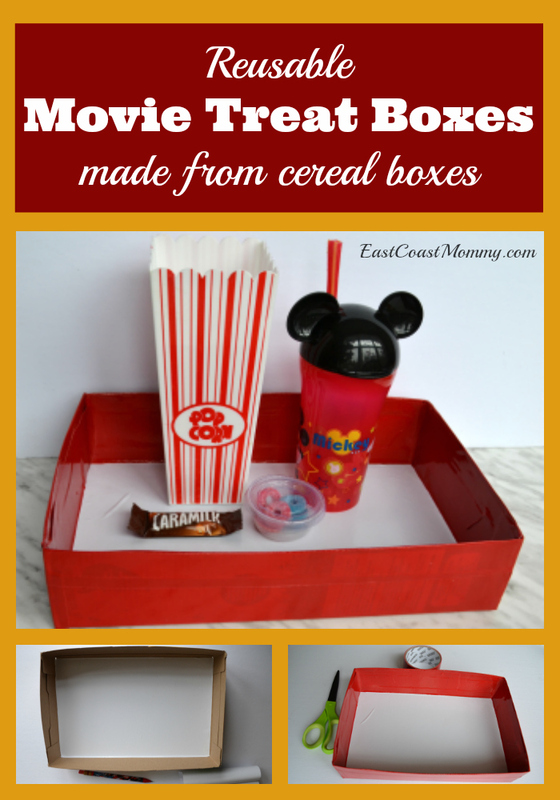 But popcorn (and kids) can be messy, so the movie treat boxes I am sharing today are perfect for movie night! 1) Cut the top off of a cereal box. 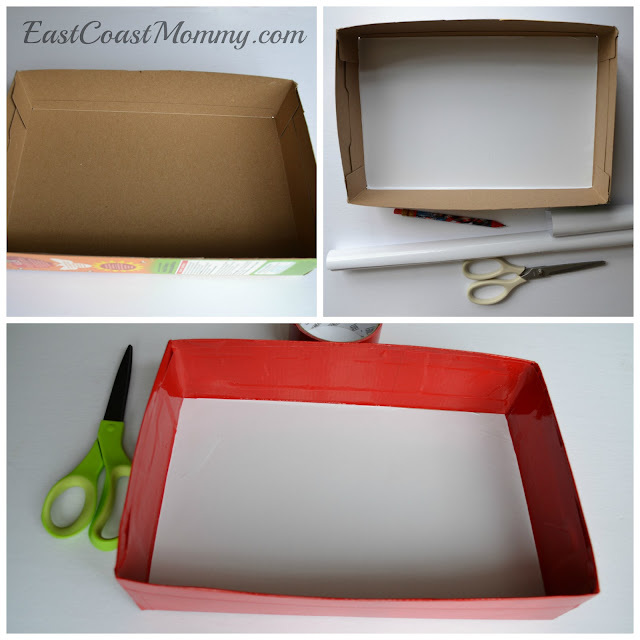 3) Apply duct tape to the inside and outside sides of the box. 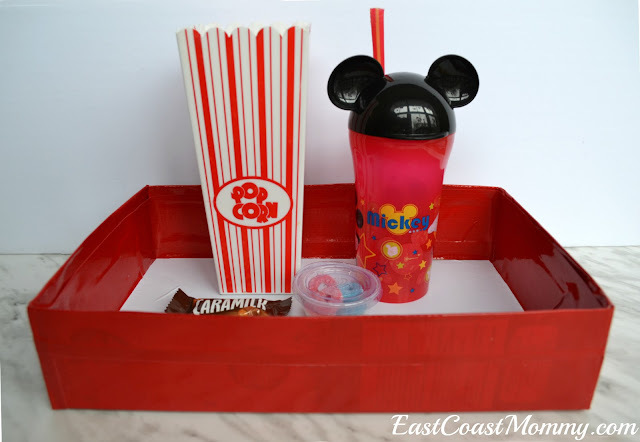 I love that these movie night treat boxes are easy to make and use simple dollar store supplies. They'd be perfect for a movie-themed party too! It's always fun when you can add simple and inexpensive DIY details to parties. If you decide to make a tray or two, let me know how it goes. 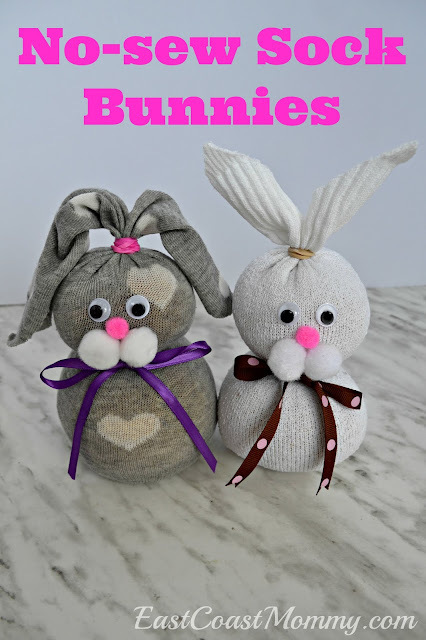 I plan on make a bunch for our next movie party.